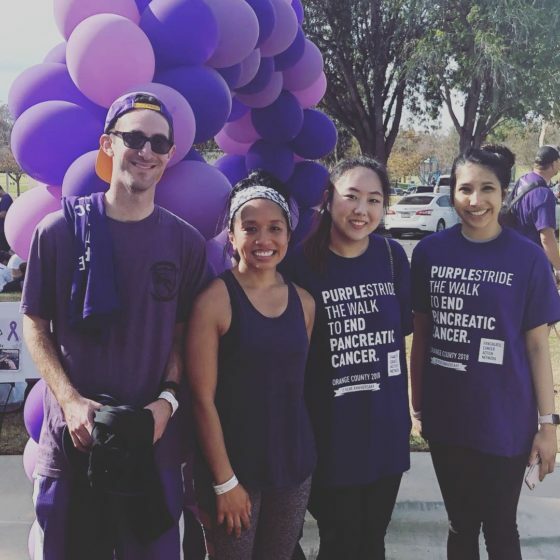 On November 17, David Ezra, Erin Ezra, Kathleen Danna, Ian Kaplan, Patricia Contreras, Hannah Hong, and Alyssa Telles participated in the PurpleStride 5K, organized by the Pancreatic Cancer Action Network. This year PurpleStride O.C. celebrates its 10th anniversary and Berger Kahn was eager to support this great cause and help fundraise for patients and families impacted by pancreatic cancer.